New initiative includes removal of Gaza sanctions, reinstatement of Palestinian Authority officials, report says. 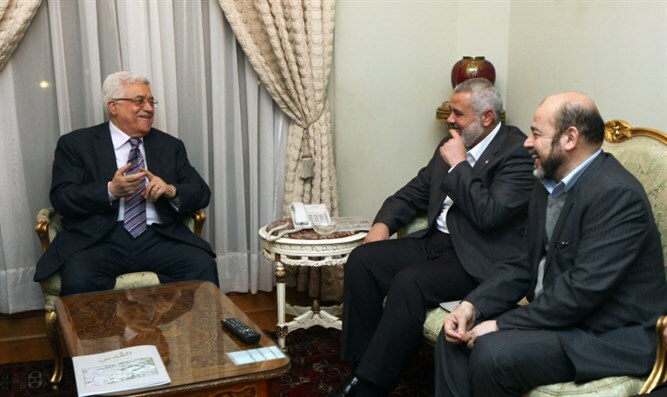 Egypt presented a new Hamas-Palestinian Authority (PA) reconciliation agreement, Haaretz reported. According to the report, Hamas diplomat Mousa Mohammed Abu Marzook said that the Egyptian initiative includes the PA removing sanctions on Gaza, as well as reinstating PA officials in their former positions in Gaza. The initiative would also advance the creation of a Hamas-PA unity government and a meeting of Palestine Liberation Organization institutions attended by Hamas officials as well. The agreement is based on the peace agreement signed by both sides in 2011. Hamas and Palestinian Authority Chairman Mahmoud Abbas’ Fatah faction have been at odds since 2007, when Hamas violently took control of Gaza in a bloody coup. A unity government between Hamas and Fatah collapsed in 2015 when Abbas decided to dissolve it amid a deepening rift between the sides.